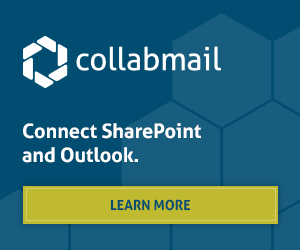 Collabware is excited to be a Silver Sponsor for SharePoint Saturday on November 17, 2018 at SAIT’s Heritage Hall in Calgary. We'll be available all day to answer your questions on Records Management in SharePoint, Office 365 and all our ECM solutions. Click here to register for SharePoint Saturday. SharePoint and O365 administrators, end users, architects, developers, and other professionals that work with Microsoft SharePoint Technologies will meet for the 5th annual SharePoint Saturday (SPS) Calgary event on November 17, 2018 in Heritage Hall (SAIT) located at 1301 16th Ave NW, Calgary. See and participate in world class speakers and sessions. More Office 365 topics will be introduced and they will identify any sessions that are applicable to the cloud.